December 9, Archdiocesan officials have announced. He was 90 years old. For most of his priestly career, Father Sheridan was on the faculty of Quigley Preparatory Seminary North. 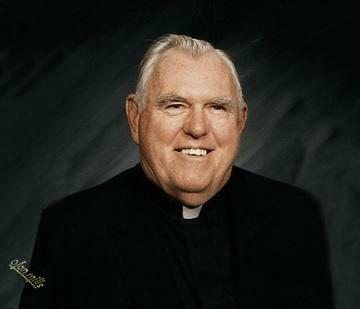 Father Sheridan was born in Chicago on November 9, 1926. He attended St. Nicholas of Tolentine School and Mount Carmel High School. He went on to study at Quigley Preparatory Seminary North. He graduated from the University of St. Mary of the Lake/Mundelein Seminary with a bachelor's degree in philosophy and a master's degree in theology. Father Sheridan completed his post-graduate studies at Notre Dame University in Indiana, receiving a master's degree in classics. He was ordained into the priesthood on May 5, 1954, by Samuel Cardinal Stritch. He celebrated his first Solemn Mass at St. Mary Star of the Sea Parish on May 9, 1954. Father Sheridan served in the Archdiocese in a number of different parochial roles. He served as assistant pastor of St. Bonaventure Parish on Diversey Parkway, closed in 2008 (1954-57). He began teaching at Quigley Preparatory Seminary North in 1957, while residing at St. Philip Neri Parish, and served as a professor, spiritual director and athletic director. He continued to teach until his retirement in 1995. Father Sheridan also remained a resident of St. Philip Neri Parish, serving the parish community until his death. Services were Saturday, Dec. 17 from St. Philip Neri Parish, 2132 E. 72nd St. Cardinal Blase J. Cupich was scheduled to be the main celebrant. Interment was at Holy Sepulchre Cemetery, Alsip. Fr. Sheridan is survived by his nieces and nephews.